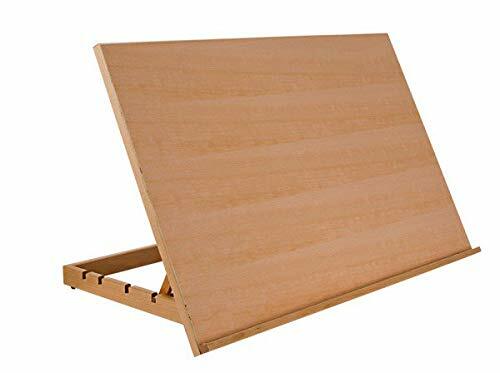 Whether you are sketching, drawing, or even a little bit of light painting, drawing boards are a terrific yet compact way to set up a flat surface and get to work. But as you will quickly find out when searching for the best drawing boards, there are a TON of options to choose from. Not only do they come in many different varieties, but they also have several different sizes, materials, and features to choose from. In this guide we are going to review all different types of drawing boards in order to find the perfect one for you. Field Sketch Board by Art Alternatives 1 Size $ Yes Masonite ~ 2 lbs. Martin Portable Drawing Board 1 Size $$ Yes Melamine Resin ~ 8 lbs. 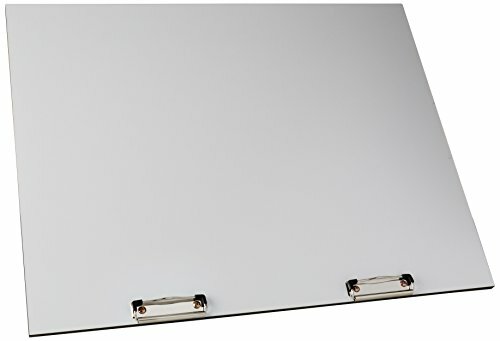 Martin Adjustable Drawing Board 3 Sizes $$$ No Melamine Resin ~ 10 lbs. 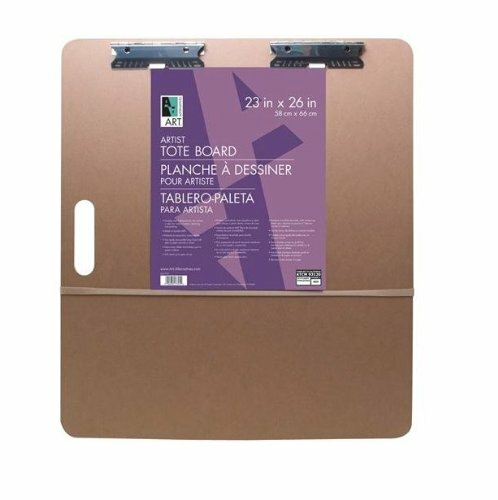 Blick Sketch Pad Boards 2 Sizes $ Yes Masonite ~ 2 lbs. 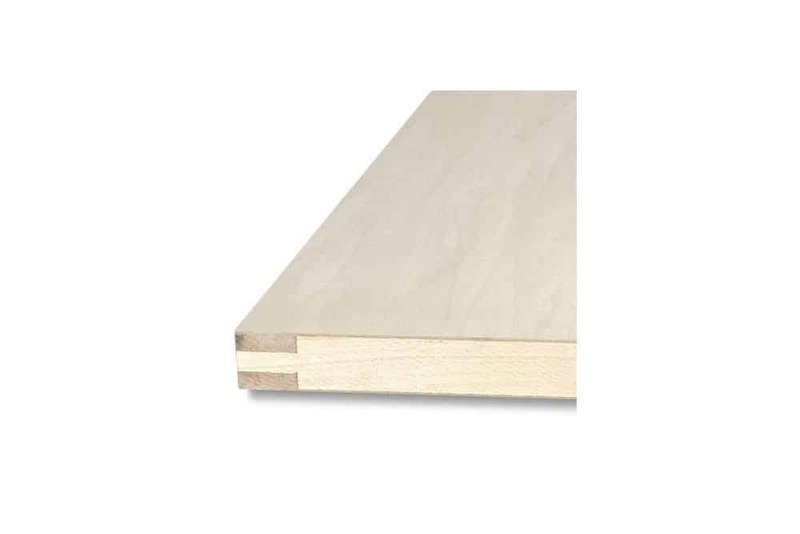 Helix Ultra-Lite Core Plain Edge Board 5 Sizes $ No Basswood 4 lbs. Koh-I-Noor Portable Drawing Board 1 Size $$$ Yes Plastic 3.7 lbs. Before you purchase your drawing board, there were a few key components that artists were often curious about when find the perfect one to fit their needs. This is a big one in the world of drawing boards. As you can tell from our table above, drawing boards could weigh anywhere between 2 (Blick Sketch Pad) and 10 lbs. (Martin Adjustable Drawing Board). If you are a student that is traveling to and from your art class and must do a fair bit of walking, then clearly the lighter weight picks will be better suited for you. Now if you are an artist that just simply doesn’t have room for a quality art desk, then a heavier drawing board likely won’t be a problem as it won’t be moved around much. No matter the scenario, take a minute to consider the weight of the board into account before purchasing. One of the biggest limitations beyond weight will be the size of your drawing board. Naturally the right size for you will be dependent on the scale of the artwork you prefer. If you are one that likes to put down broad and expressive strokes in your artwork and never want to deal with your hand running off the edge, then a massive 24″ x 36″ drawing board (Helix Ultra-Lite Core Plain Edge Board) might make plenty sense. Opposite of that, if you are one that only does smaller drawings (think less than 8.5″ x 11″) then an equally sized smaller board will be preferred. So, take a quick second to think about the scale of the pieces you like to work on and get a drawing board that compliments them. 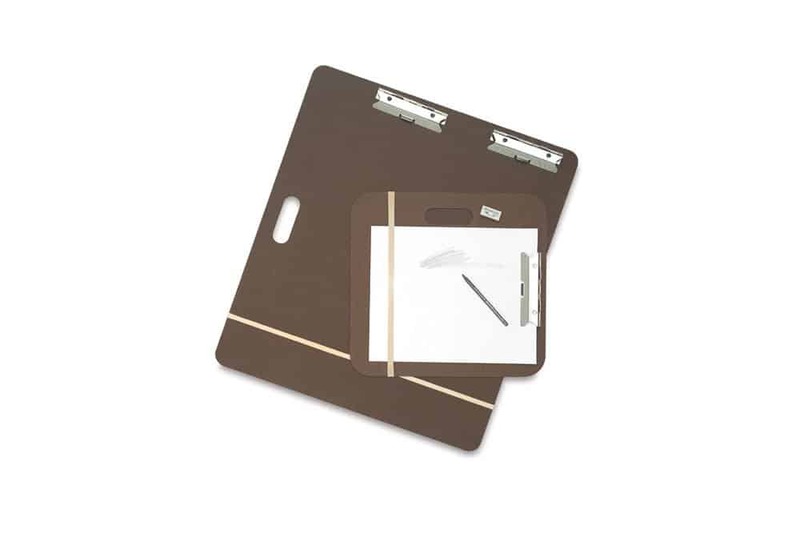 When it comes to drawing or drafting where a stationary surface is a requirement – then getting a drawing board that has clips can be a nice little addition. Now of course you can just simply use tape in lieu of clips, but if you are out in the field or in a classroom and want to only pack the essentials, then a drawing board with this little piece of added hardware will be welcomed. Each material has their own unique set of advantages and disadvantages. Whether you are looking for a drawing board that is more natural (i.e. Beechwood or Basswood) and carries with it a bit more heft or one that is super smooth and lightweight (plastic), think about the texture of the surface and what works good for your artistic style. In addition, for those artists that want to go with a drawing board that can work with many different mediums (i.e. acrylics, watercolors, etc. ), then you will want to go with either a wood or plastic surface (not Masonite or Melamine Resin) as it can withstand getting wet repeatedly. When it comes to drawing, sketching, painting, etc. comfort is key in order to get better strokes and performance from you as an artist. 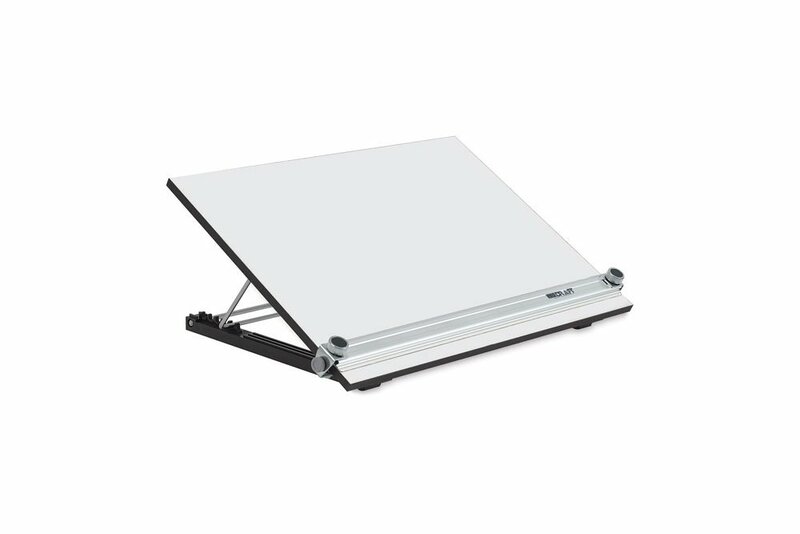 Therefore, some of the drawing boards that have built in tilt adjustments can be a great investment in a drawing board. Not only does comfort increase when working on tilt boards, but also if you like to explore across mediums, you can easily adjust the board to work with you – flat surface for watercolors vs. tilted for thicker paints (i.e. acrylic, oils, etc.). Prices for drawing boards can range anywhere between $13 and $138. 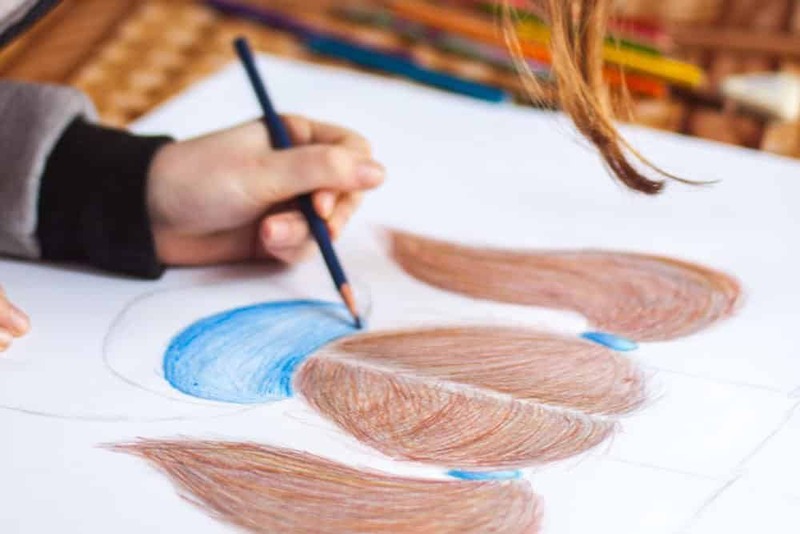 If you are a student that is still learning a medium, we recommend going with a lower priced pick as it simply will save you a bit of money to invest in other art supplies. Of course, those with more of an intermediate or professional level of experience, a pricier drawing board could have everything you want that fully justifies the cost. No matter your prior experience, do expect to pay at least $50 if you want one that will last you for several years. This no-frills Field Sketch Board by Art Alternatives is the perfect drawing board for those of you who are taking beginner level art classes at a local university, community college, or simply private lessons. With a 18″ x 18″ surface which is great for medium to small scale drawings, you easily attach a piece of newsprint or formal sketch or drawing paper with the single clip and rubber band (which is included). Additionally, this drawing board has a handle on one side making it easy to tote to and from class – especially given that this is one of the lightest weight options on our list. Naturally there are a few key drawbacks on this drawing board when compared to others. Most noticeable will be the lack of tilt, scale variety, and material. Relying on Masonite (particle board), it will deteriorate if exposed to water (so watercolors are out of the picture here), and will also fray on the corners when tossed around. While the board is light, with no natural tilting, it may become tiring to hold up after several minutes. Overall, this is a no-frills drawing board perfect for student artists. While we wish there was a bit more in regard to scale variety, it will get the job done. An upgrade to the Field Sketch Board, the Martin Portable Drawing board is a much more expansive surface that will also be able to endure a bit more abuse. With a 20” x 26” drawing surface, you can place down some wide expressive strokes (i.e. gesture drawing) on the board without having to worry about running off the edge. While this is sold as a portable drawing board, we (and other artists) had mixed feelings about this. The tilt mechanism in the board is a nice touch – it adds greater range and increases comfort. However, the board is made from a melamine resin and is rather heavy (about 8 lbs.). So, toting this across a large university campus will be rather taxing despite it having a comfortable handle. Personally, we think you will be better off having this for studio/home use where you are living in tight quarters. Overall, the surface on this drawing board is both large and smooth. While the attached handle is a nice touch, it’s still a rather heavy board that might be hard to carry over a long distance. A step up from the Portable Drawing Board is the Martin Adjustable Drawing Board. Containing many of the key characteristics of its portable variant – large and smooth surface, heavy construction design, tilt, etc. This drawing board is the perfect addition for those artists who want a great surface to work on, but don’t want to spring for a full art desk. 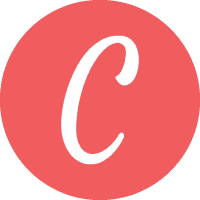 You will be able to shop the lineup and find the perfect sized one for you. The onboard parallel rule eliminates the need for any straight edge or T-Square and can easily move along the surface. Lastly, this Martin Drawing Board does have 5 pre-set positions for tilt – which will reduce mild body pains that usually occur when drawing for several hours. Overall, this is a great little drawing board perfectly suited for home use. It does also contain a handle should you want to take it out of your studio as well. The 3 different sizes should satisfy most artist needs. For those artists that love to draw over something that feels (and is) a bit more natural, and prefers artisanal craftsmanship over particle board, then you will love this board by SoHo Urban Artist. While from the onset this surface may look quite a bit lacking, it has some subtle features we think you will love. With 5 preset notches that go anywhere from a few degrees all the way up to 80 degrees – it will work effortlessly with both traditional drawings and paintings. Secondly, there is a ledge. While this might seem not worth pointing out, when compared to all other drawing boards on our list, this is the only one that features a true ledge for setting your drawing tools or paint brushes on – which can be incredibly convenient. 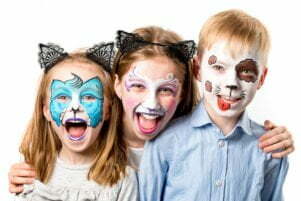 Able to easily withstand abuse from watercolors, solvents, etc. it’s one of the most versatile boards on our list. Overall, it’s one of the best drawing boards on the market today. Not only is it affordable, but the durable surface will last you for years. The variety of tilts make for ultimate comfort! Competing head-to-head with the Field Sketch Board, this slightly larger, and to be quite frank, slight better drawing board by Blick is the perfect drawing board for students. You can get the right sized board for you. But unlike the other Field Sketch Board we reviewed, the larger one by Blick has two onboard clips ensuring that your paper doesn’t move once it has been attached. Whether you are walking around campus, or simply doing a quick 6 seconds speed drawing (or erasing), you never have to worry about the paper coming loose. Made from a 1/8” piece of Masonite, it’s incredibly lightweight. Overall, for students it doesn’t get any better than this. The surface is huge, the onboard handle is nice and comfortable, and the two clips + rubber band ensure that your paper doesn’t move around. If you are in school and looking for a drawing board – get this one. From the onset this might seem silly to include – a plain piece of wood. However, when looking at the overly positive ratings and artists exclaiming that this board was “the perfect watercoloring board” to just simply “WOW”, we had to review this. Crafted from natural basswood, this silky-smooth drawing surface can be extremely versatile across many different mediums. At 4 lbs. and .7” thick – it’s not too imposing, especially when compared to some of the other boards we looked at. You should have no problem finding the perfect one to fit your needs. Naturally given that this is a plain piece of wood, there is no tilt, ledge, onboard ruler, etc. included. 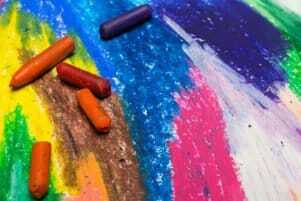 However, we did notice that several artists liked to just simply put this on their favorite art easel and get to work. Overall, this is a very use-case specific drawing board. If you need just a smooth, yet lightweight surface to work on – then you should consider this one. 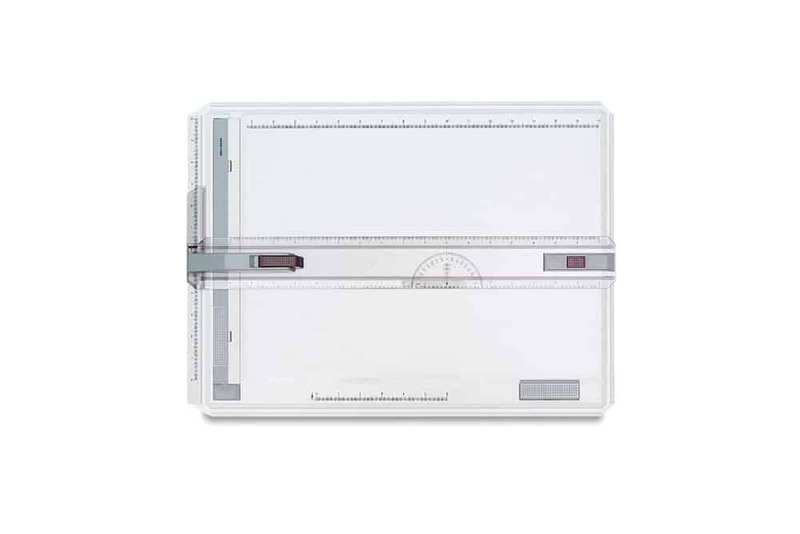 Whether you are doing a perspective drawing out in the field, or you simply want to take an office grade drawing surface with you everywhere you go, there is no denying the utility of having a wide surface, straight edge, and protractor with you at all times. As utilitarian as this board may be, perhaps one of the most underrated features is its weight. Made from a lightweight plastic, this board only clocks in at 3 lbs. 10 oz – making it one of the lightest on our list (only getting beat out by the couple of Masonite sketch pad boards). Its portability is unmatched for those artists and architects that require a reliable surface with them anywhere they go. Lastly, while it might not seem obvious based on the picture above, but this board does have two clamps on both the bottom and side of the board – ensuring that your paper stays put. Overall, this board is well suited for those who do more technical drawings. The added leg stands, straight edge, and protractor help to both increase comfort and precision. Finding the best drawing board for artists in 2019 proved to be rather difficult. 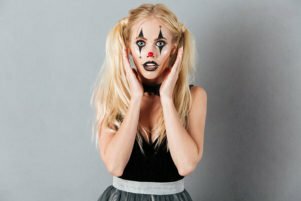 Not only were the number of quality brands severely limited, but there were also a lot of the same cheap offerings of the same design flooding popular online marketplaces. But needless to say, after reviewing what other artists said, along with our own bit of research, we feel confident that any of the above drawing boards should meet your specific needs. We hope you liked this article and that it helped you in finding the perfect drawing board for you!